This week witnessed the 70th birthday of a cinematic icon, a directing auteur and in fact my favourite ever by a long country mile director…..John Carpenter. So I thought it fitting ( in other words I had nothing else to do) to share a few musings on the great man himself and in particular, my absolute favourite of his movies. When the inevitable Zombie apocalypse finally arrives and I spend my days being the brave and heroic leader of the few surviving humans, there will be a few things that I will undoubtedly need to ensure I keep some semblance of sanity. Of course, I am already planning for such a doomsday event by carefully selecting some of the essential post-apocalyptic items for my personal survival. No, I’m talking about piffling things like food, water or weapons, after all I anticipate having a number of trusty minions to cater for such needs. I am in fact talking about some of those essential luxuries that will help fend off those pesky Zombie-fighting blues. At the top of my ‘survival essentials’ is a collection of my 10 top all-time films to while away the hours in between Zombie slaying and being the saviour of the human race. Yes, yes, yes, I know this comes with a couple of minor sticking points; namely having the power to keep my DVD player running and the fact that my top ten movie list order changes on a weekly basis. However there are few that will probably never leave the list; The Texas Chainsaw Massacre (1974), The Wicker Man (1973) and the little beauty which was directed by the subject of this very article, Mr John Carpenter – Assault on Precinct 13 (1976). Assault on Precinct 13 shares a commonality with the other two films mentioned previously here – apart from the fact that they are ground breaking examples of classic horror, they each suffer from having god-awful remakes made of them. This really isn’t the place for me to go off on one of my legendary rants about the lack of imagination and originality of some filmmakers. However I will say that my advice, for what it’s worth, would be to avoid these particular remakes at all costs – ESPECIALLY the Assault one…….give me strength. Assault on Precinct 13 is a film that didn’t do particularly well commercially, or with the critics, on its original release and in fact only slowly over the years began to gain legendary status, which is something of a running theme for Mr. Carpenter. Made for around $100,000 it was just his second feature film and by his own admission was a case of him learning how to make a movie. In fact he has gone on record as saying that he would change much of the original film today………please don’t, John. Just don’t. The plot of the movie is loosely based on the Howard Hawkes classic western, Rio Bravo and repeats the narrative of good old law enforcement guys surrounded by a horde of murderous bad guys. It all takes place over just a few hours (A classic Carpenter modus operandi) and has noticeable periods where little is happening or even said. It is what Carpenter does with the material, the creation of near unbearable atmosphere and tension as the film progresses into some great action sequences and a simply stunning example of ensemble acting that makes this a movie classic. The story begins with 3 separate story strands on a Saturday afternoon in Los Angeles that will eventually come together to form the tension filled second half of the movie. The first part features Lieutenant Ethan Bishop, played by the always excellent Austin Stoker, who has just undertaken a new assignment after receiving his promotion. He has been given the seemingly innocuous task of commanding the soon to be decommissioned Anderson police precinct. The station is manned by a skeleton staff composed of another officer and two civilian secretaries. Meanwhile, a Los Angeles street gang called ‘Street Thunder’, who recently have had six of their members slain by the local police after recently acquiring a huge cache of automatic weapons. Vowing revenge they decide to drive around the streets looking for people to kill. Quite clearly, these are not nice people…..One of the gang shoots and kills a little girl and the driver of an ice-cream truck which is perhaps the most shocking and intense scene in the whole film. The ‘Ice cream cone scene’ has rightly gone down in many movie top 10 most shocking lists. The girl’s father, in a helpless rage pursues the gang in turn shoots the gang member, whose fellow gang members chase the man into the Anderson precinct. The staff try to ascertain his problem, but by now he is in a catatonic state of shock, he is unable to explain to anybody what has happened to him. The 3rd strand meanwhile sees a prison bus stopping at the Police station in order to get medical assistance for one of the three prisoners being transported to Death Row at the state prison. What then follows for the remainder of the movie is a classic siege scenario as what seems like hundreds of gang members have surrounded the station, cut off the power and now intend to kill everyone inside, forcing the few police and convicts to work together in order to live. The true genius quality about this film is Carpenters ability to turn what, is on the face of it, a standard urban cop thriller and give it the essential spirit of a classic horror movie. Carpenter himself has often said that the film more resembles Night of the living Dead as much as any other cinematic inspiration. This success is in no small part to the incredible ensemble cast of character actors; Austin Stoker is his usual solid reliable self as the officer who slowly reconciles the fact that a police station in the middle of Los Angeles is under siege. Tony Burton and Laurie Zimmer (in her first major role) are equally excellent. For me though the heartbeat of the film has always been the magnificent Darwin Joston, as the charismatic prisoner Napoleon Wilson, who is responsible for driving the narrative onwards. The character of Napoleon could very easily have been a one-dimensional cardboard cut out bad guy, but Joston’s performance combining elements of brutality, sardonic humour, loyalty and distinct traces of humanity raises the character to a sympathetic anti-hero status that is still powerful on repeat viewing. It remains a genuine mystery to me to this day why Darwin Joston was so vastly underrated in the industry and never became a bigger star than he was before his death from Leukemia in 1998. Oh, and one more thing – the soundtrack……..Oh my lordy. Once an often overlooked contribution to his movies is the music that Carpenter (the vast majority of which he wrote himself) provides for each production. Forced to write his own synthesiser music due to budgetary constraints on Assault on Precinct 13, Carpenter quickly realised the importance that a music soundtrack can provide. He’s never content to let musical score simply accompany a film to fill the odd moment of silence and occasionally add something to the overall effect. Instead the music often acts as a principle character in the story. The likes of Assault on Precinct 13 ( the music written in a staggering three-day period) are a showcase in how the atmosphere and excitement can be manipulated to a staggering degree. There is absolutely no argument Assault, Halloween (where perhaps he created arguably his most iconic piece of movie soundtrack) and Escape from New York would be far the poorer if Carpenter hadn’t taken real care and passion to intimately wed the music to the narrative. There are times, particularly in films such as Halloween, when the musical score seems to be pushing the action along rather than the opposite way round. Moreover, as the music selection clip below shows, much of his music stands on its own merits as listenable in its own right. The appreciation of the genius of not only his filmmaking, but also his music has now been recognised by a whole new contemporary audience as Carpenter in recent years has taken his musical back-catalogue on tour to a fabulous response from concert audiences as soundtrack after soundtrack plays to a backdrop of cinematic scenes, Delicious. 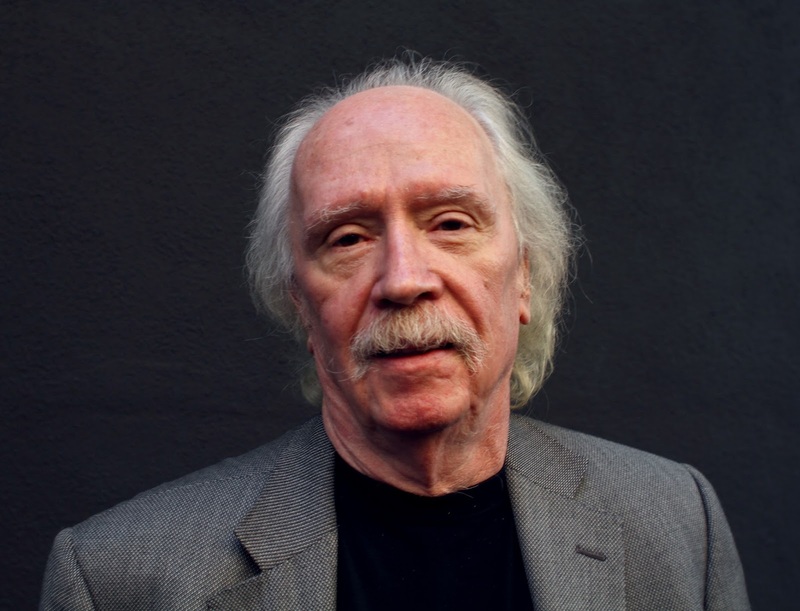 So all it remains for me to say is…..Happy birthday John Carpenter!